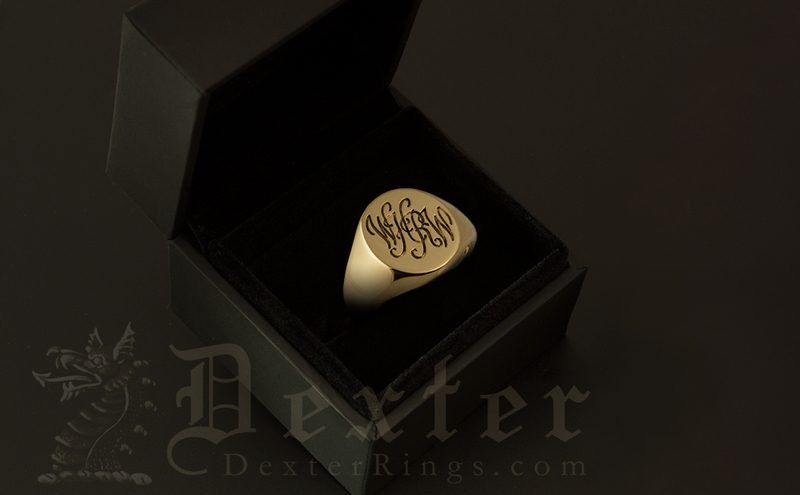 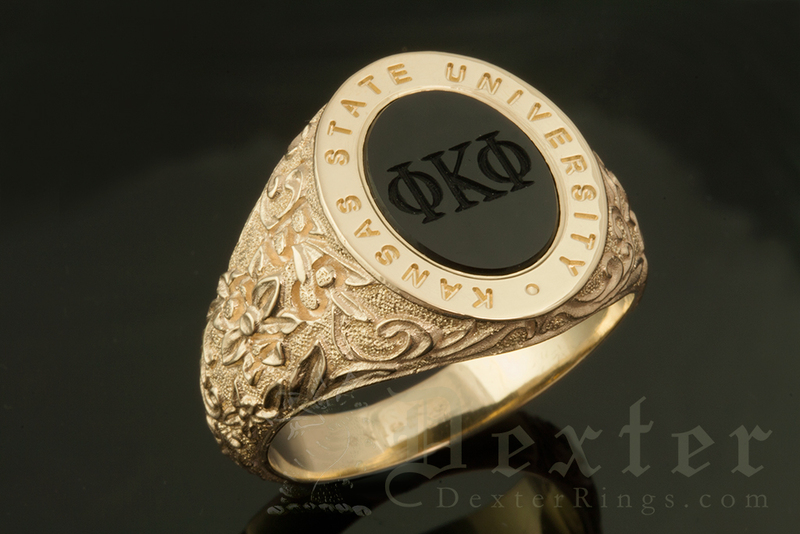 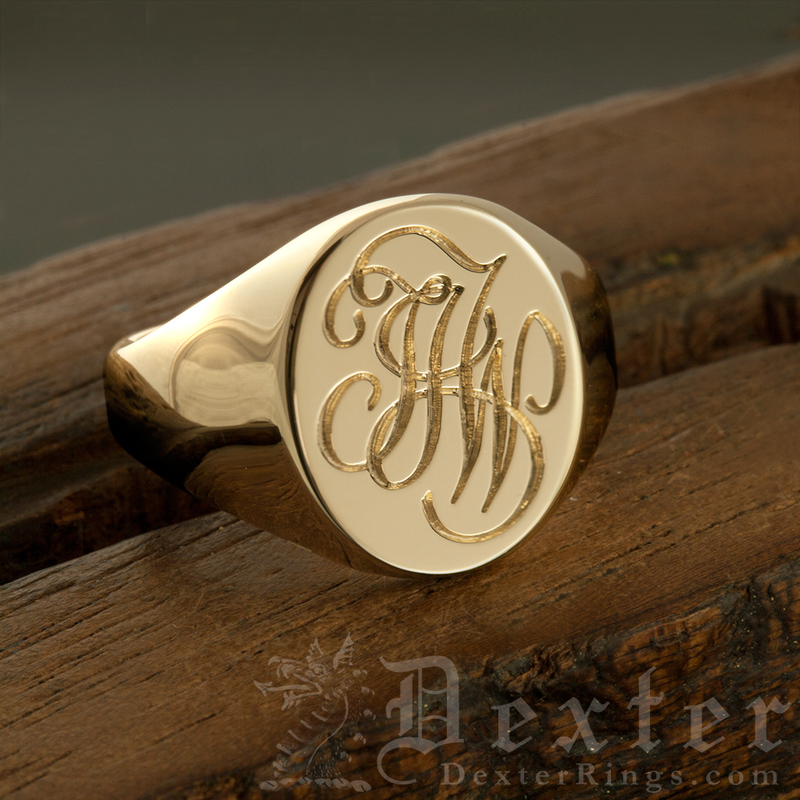 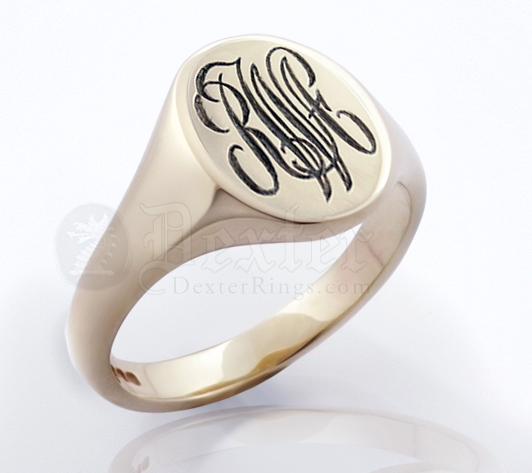 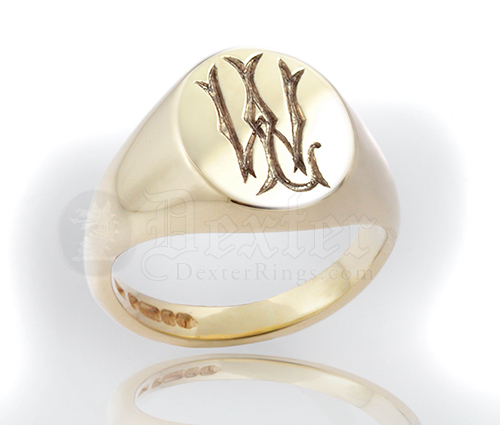 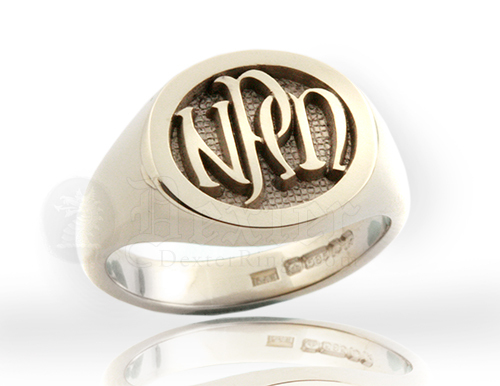 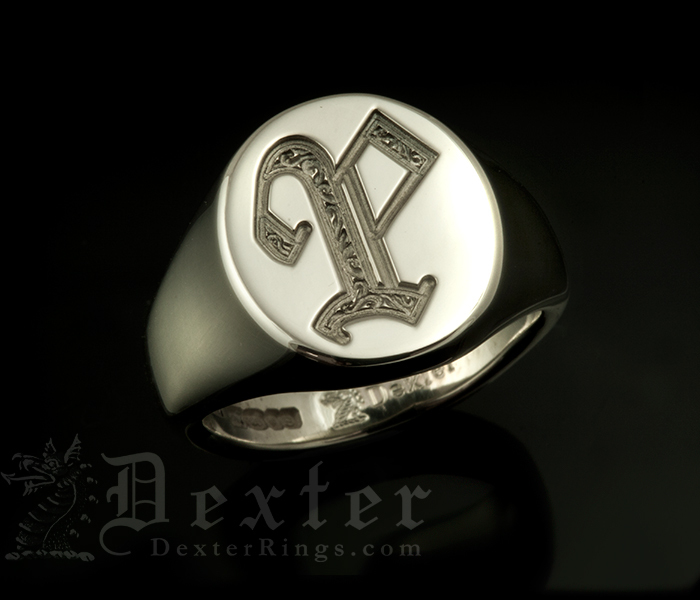 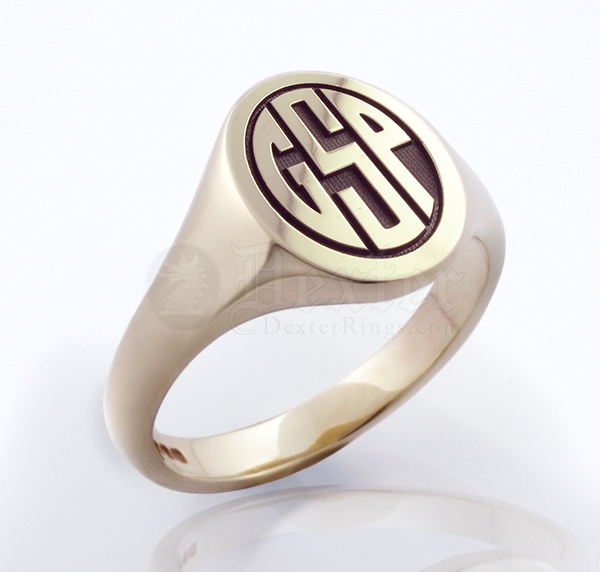 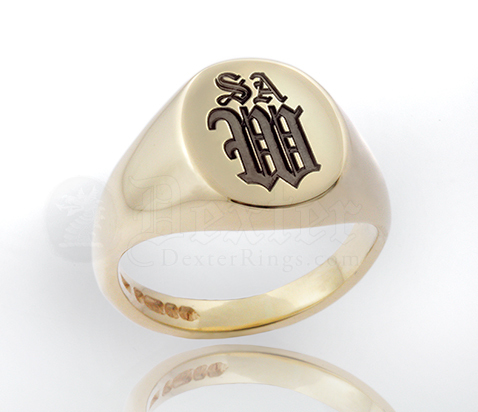 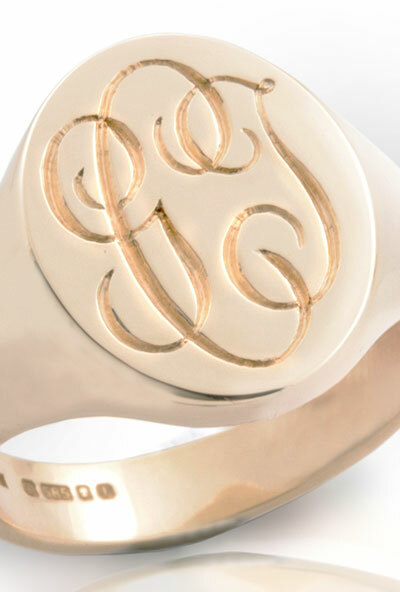 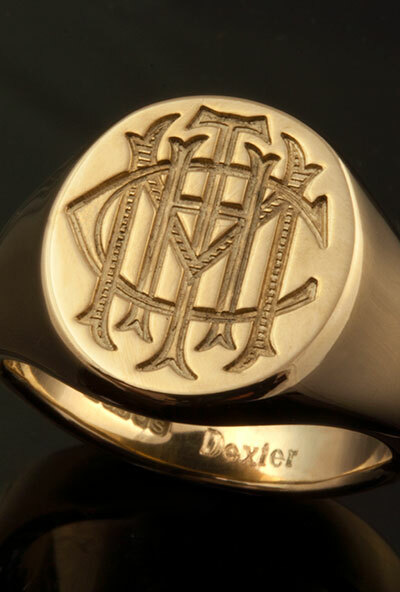 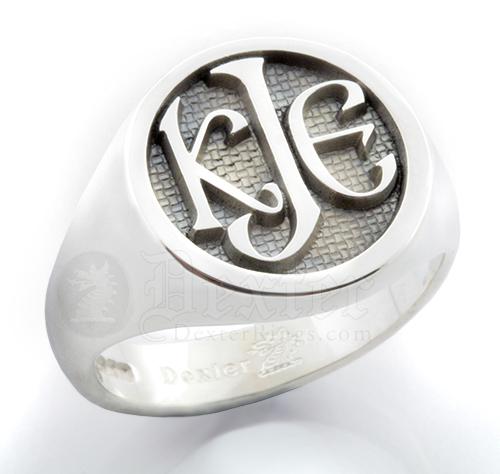 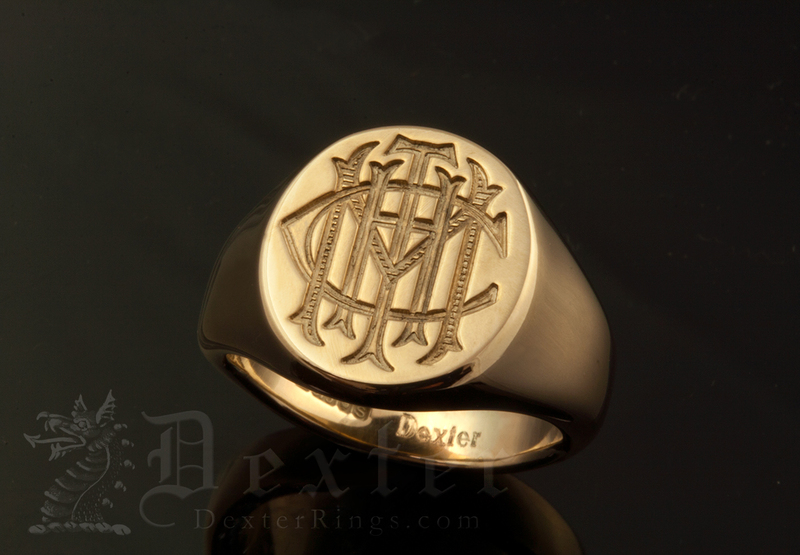 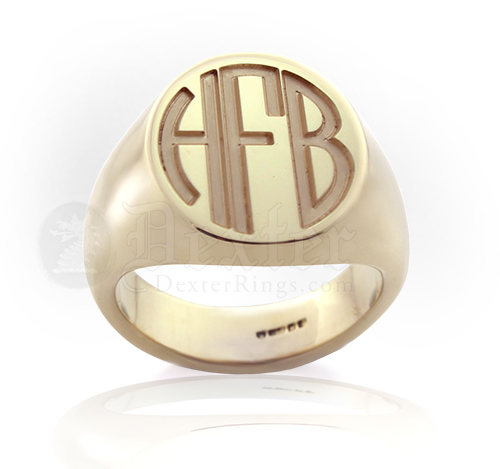 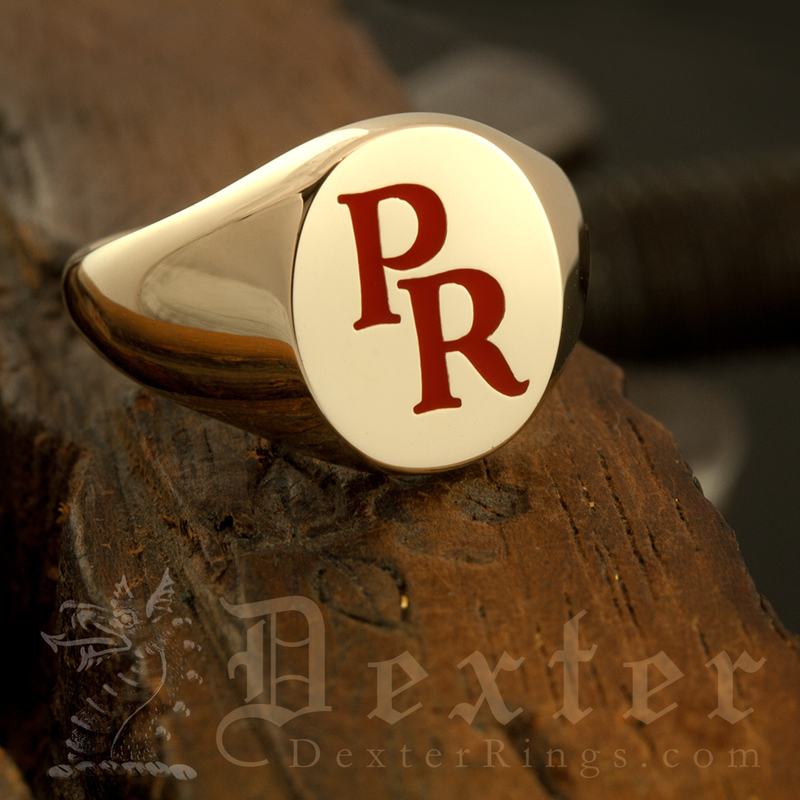 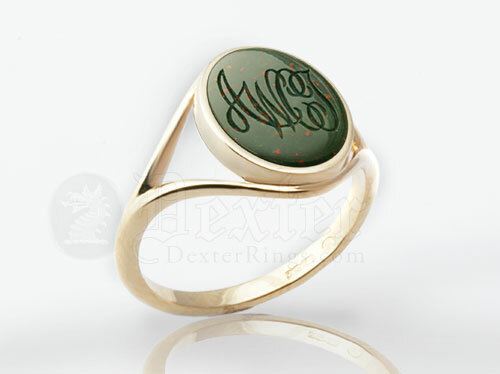 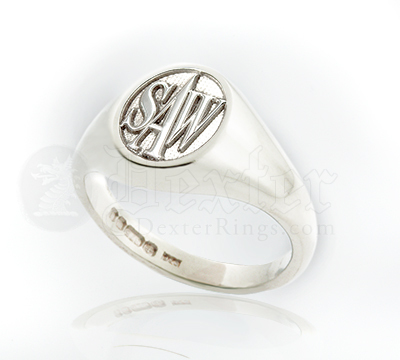 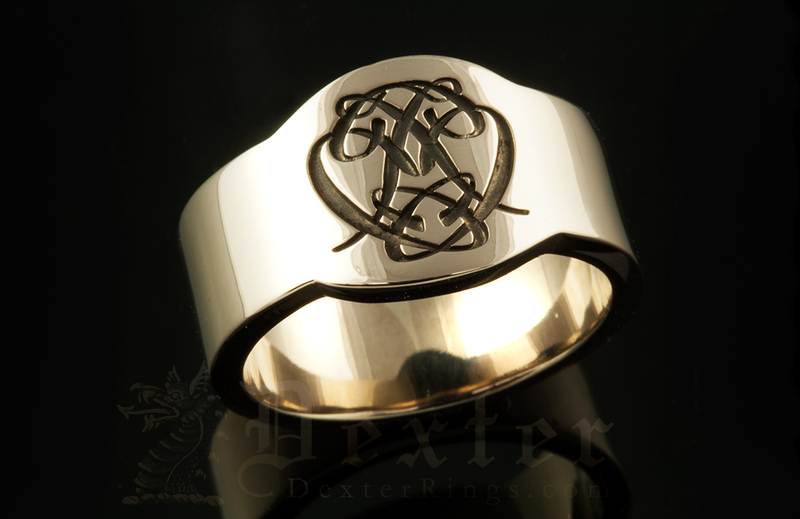 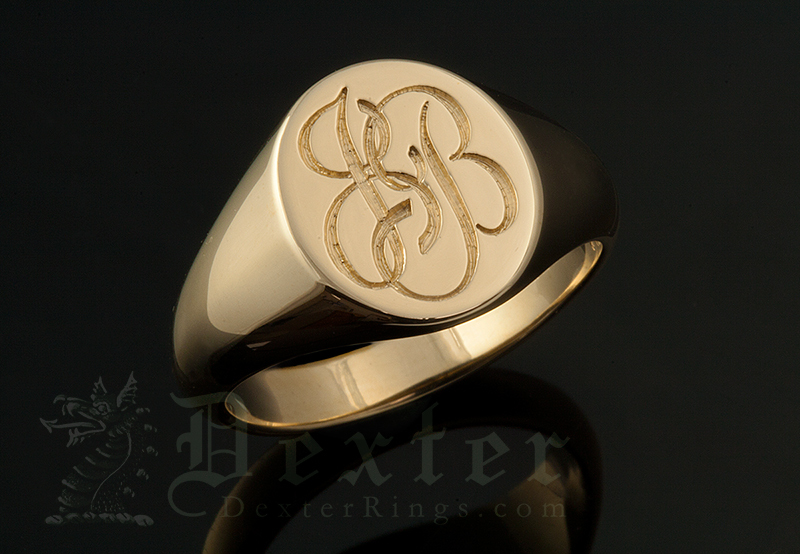 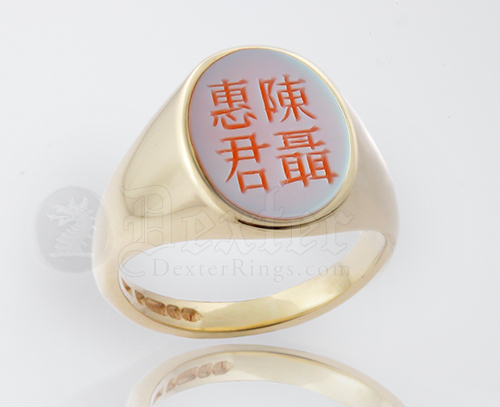 Dexter engrave monogrammed rings with your initials in a choice of font and engraving style, on any signet ring size, shape, or precious metal. 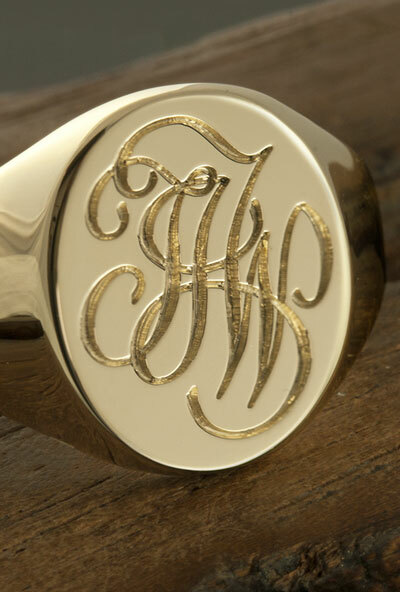 Each combination of initials is a uniquely designed monogram. 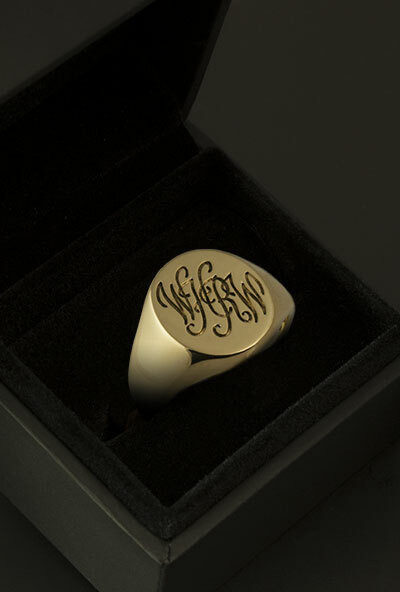 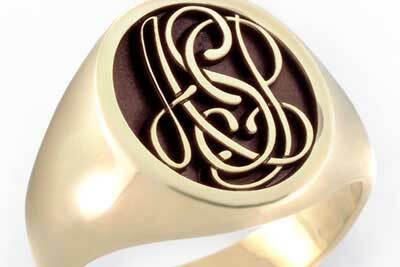 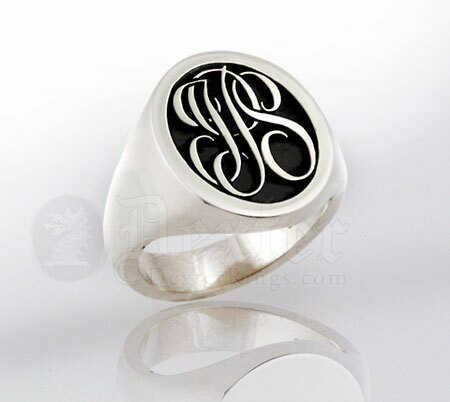 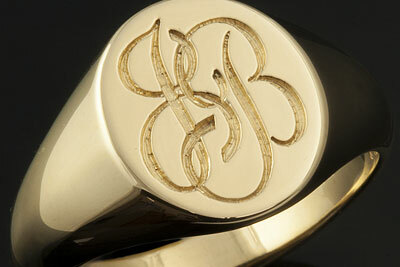 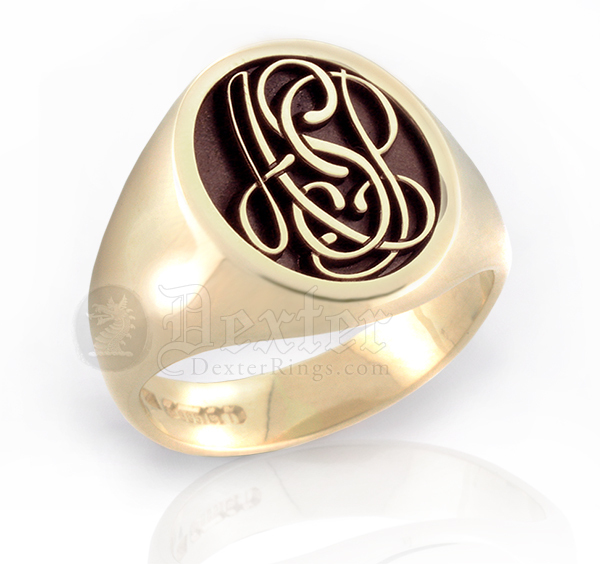 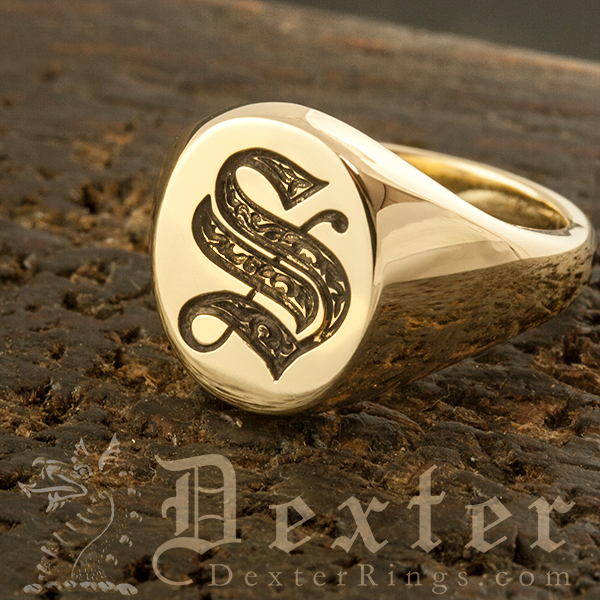 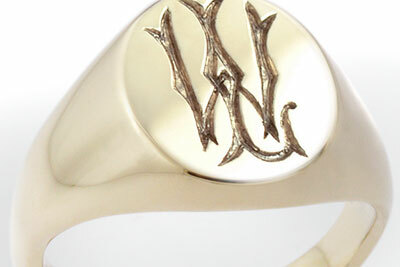 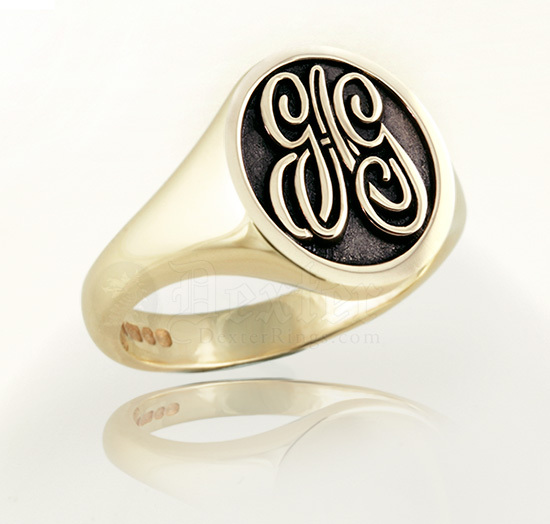 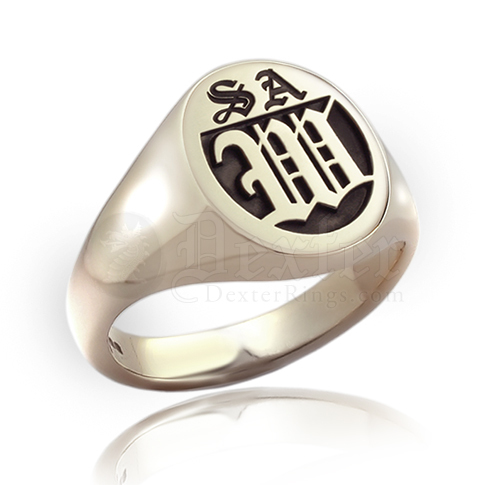 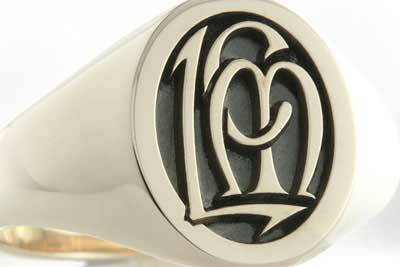 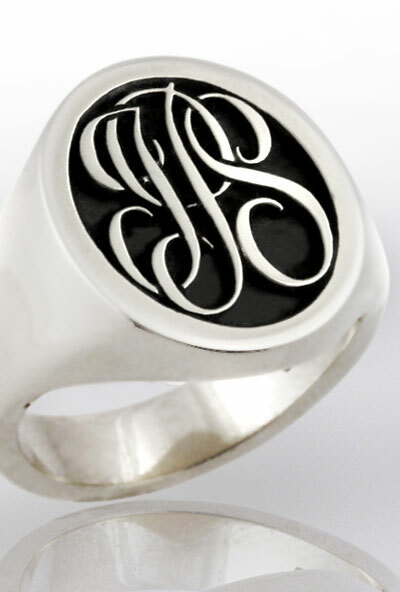 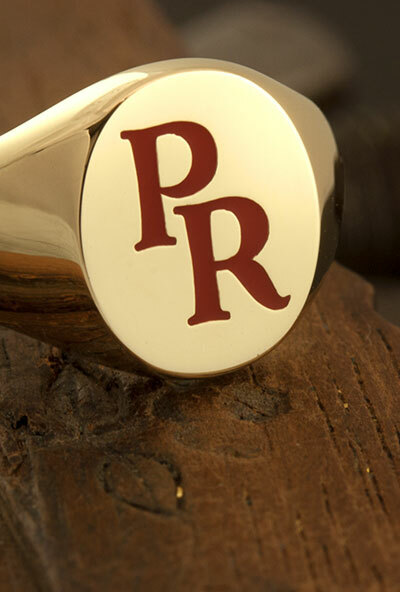 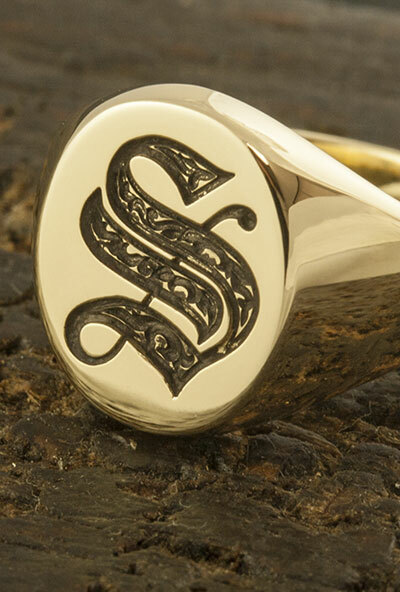 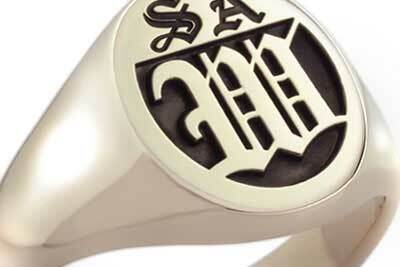 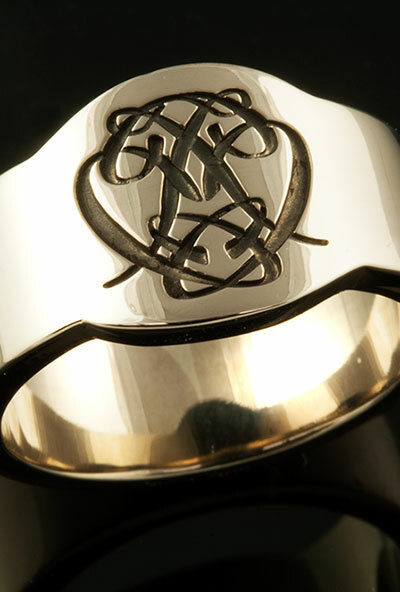 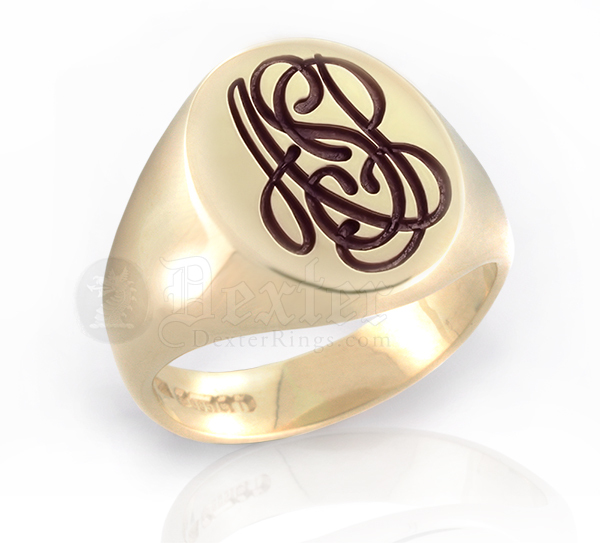 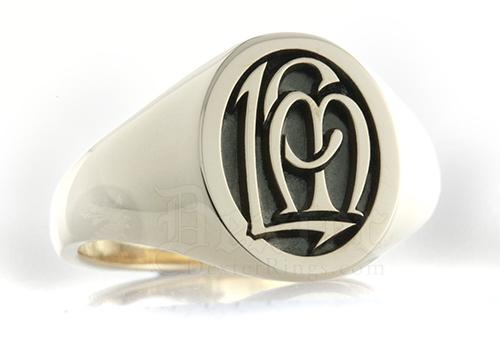 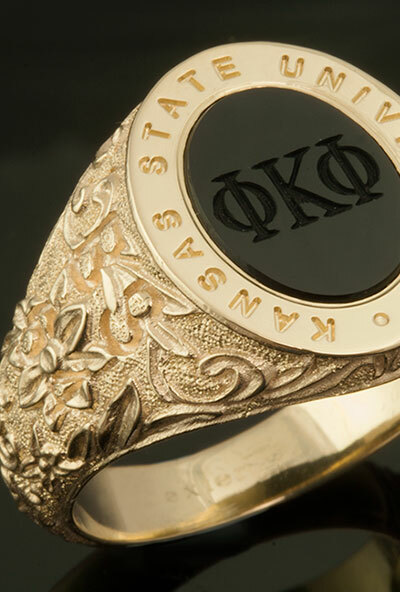 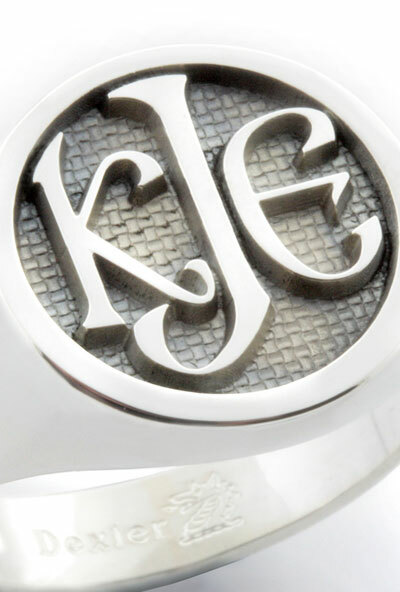 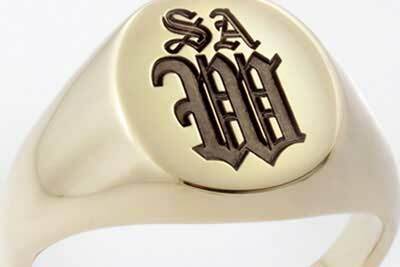 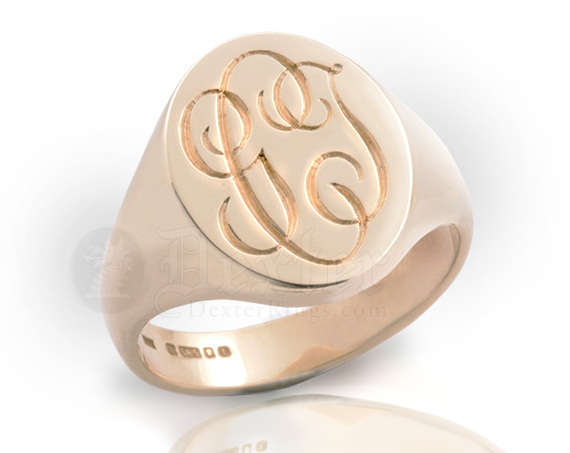 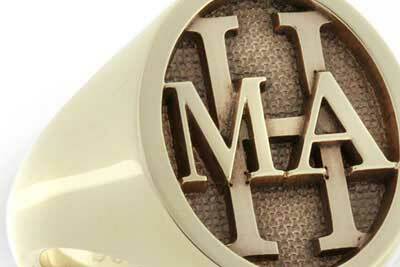 Our Master Craftsmen will work with you to design the perfect monogram signet ring for you. 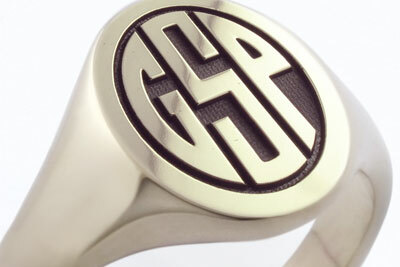 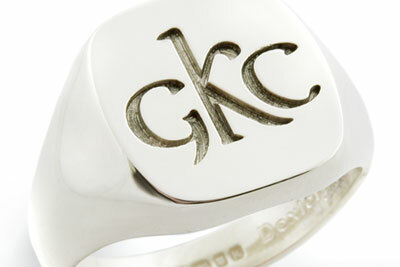 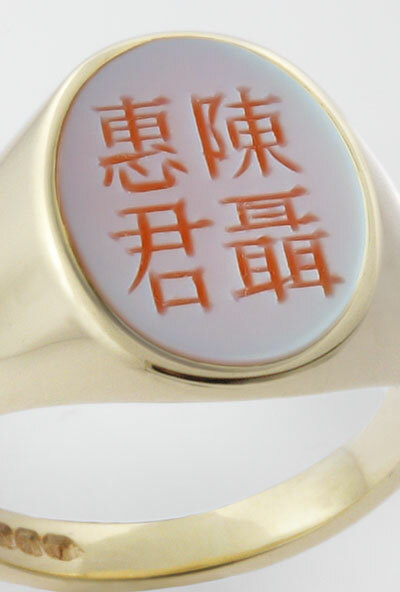 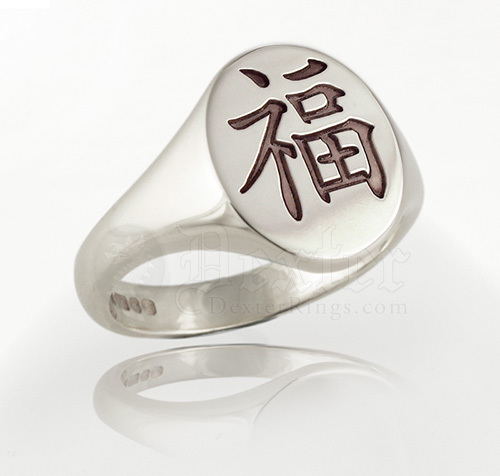 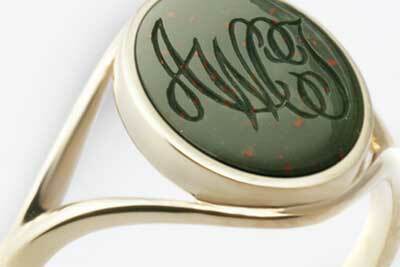 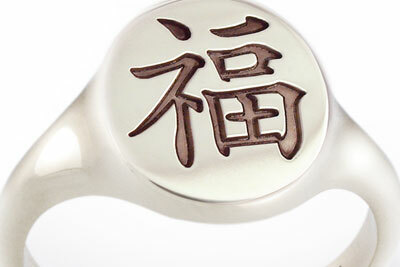 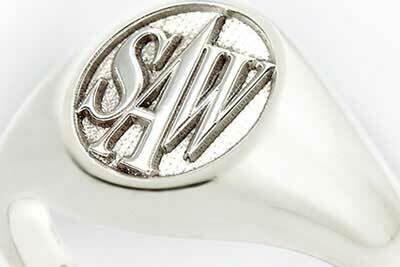 Signet ring artwork for your approval prior to engraving. 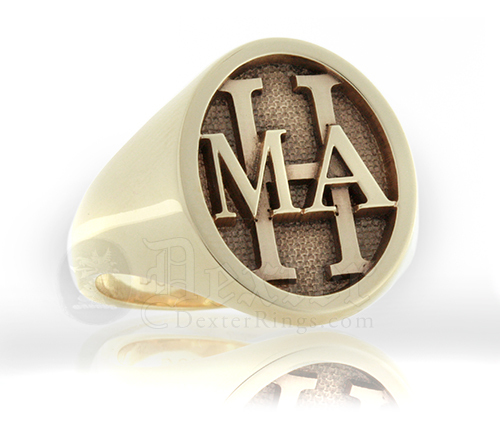 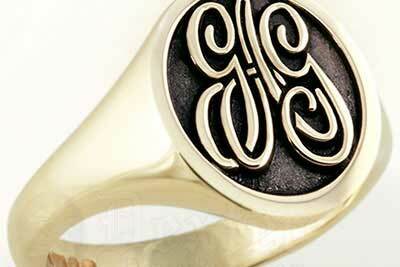 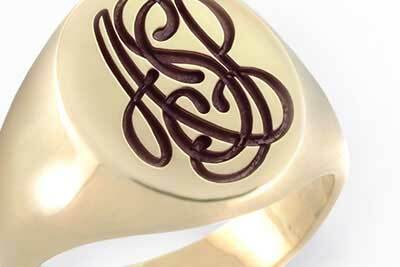 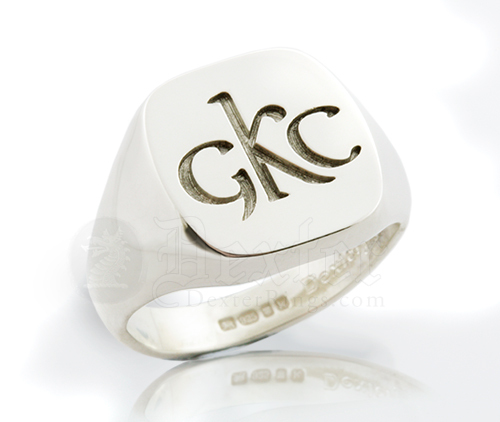 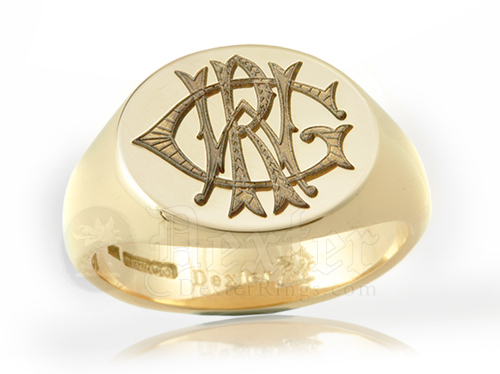 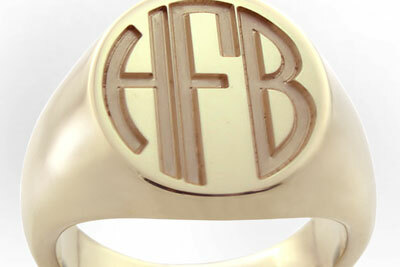 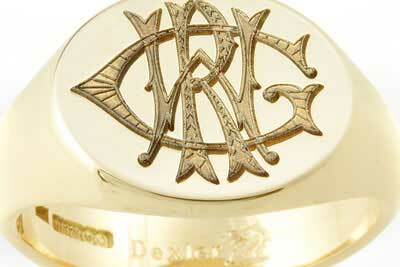 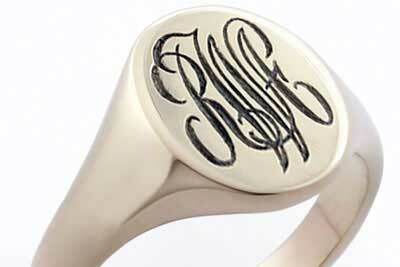 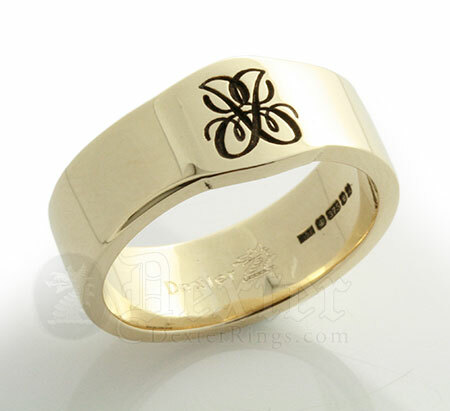 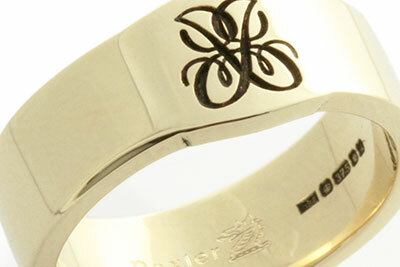 Quality mens and ladies monogram rings.